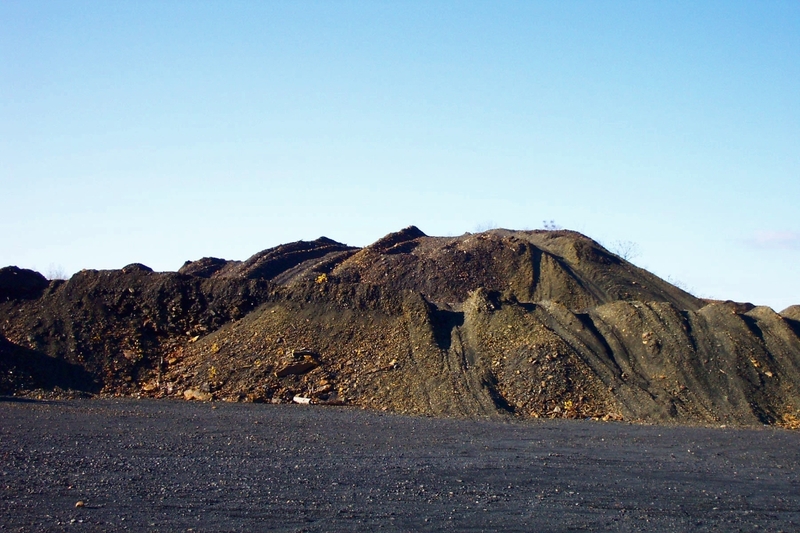 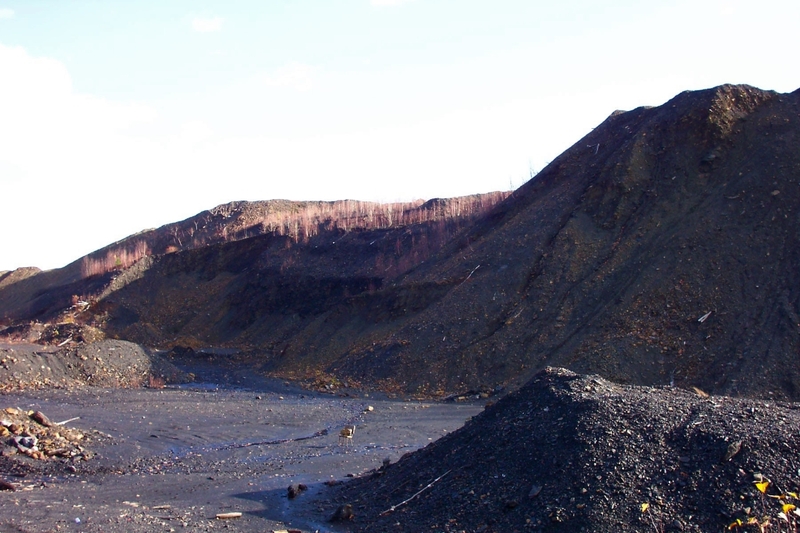 Image of one of the large piles of mine spoils comprising Bliss Bank. 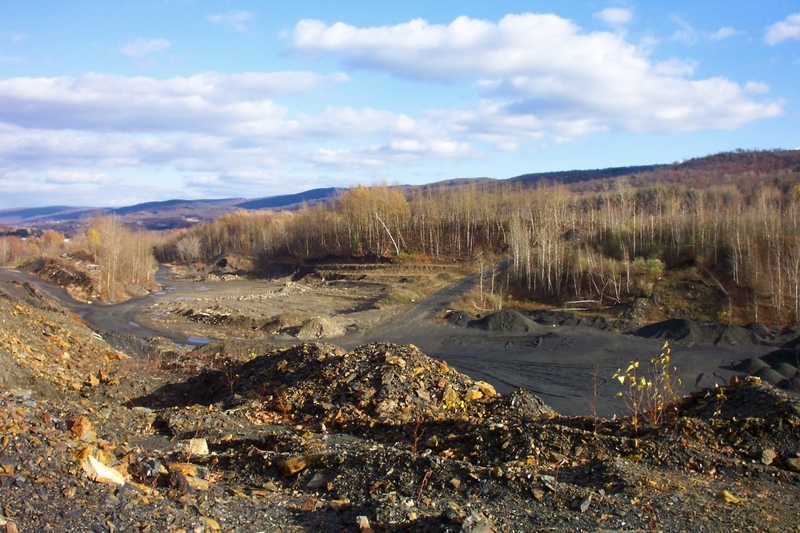 Another view of the Bliss Bank mine spoils. 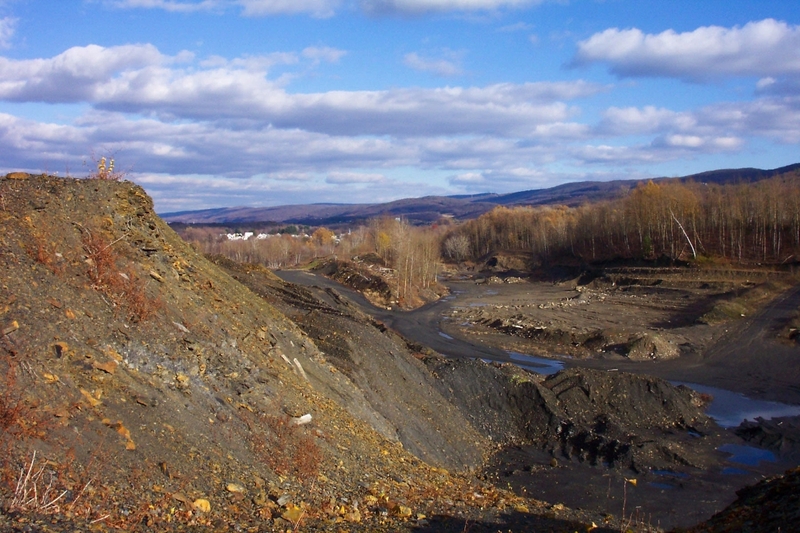 Note the abandoned chair in the center of the image to comprehend the bank’s size. 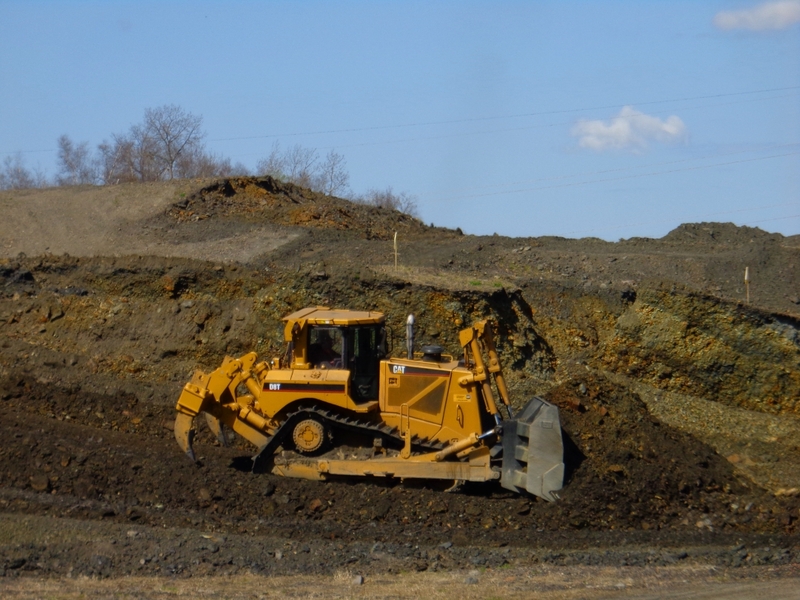 A bulldozer works on moving material as part of the grading process. 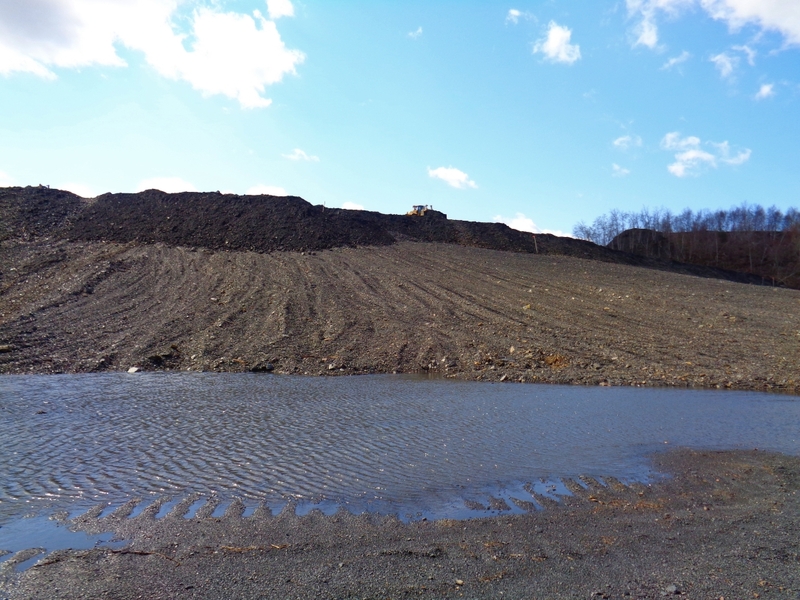 Work continues on moving the spoil material, little by little leveling the bank. 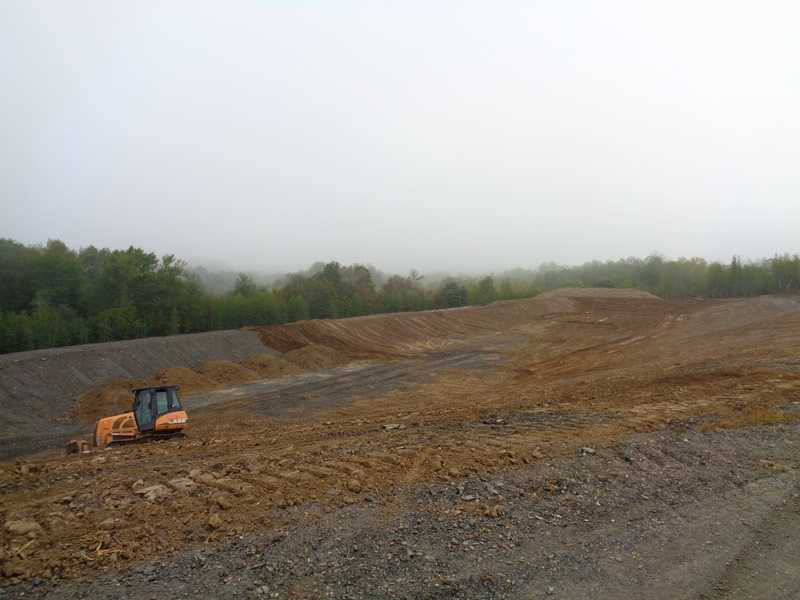 Phase I of Bliss Bank nears completion. 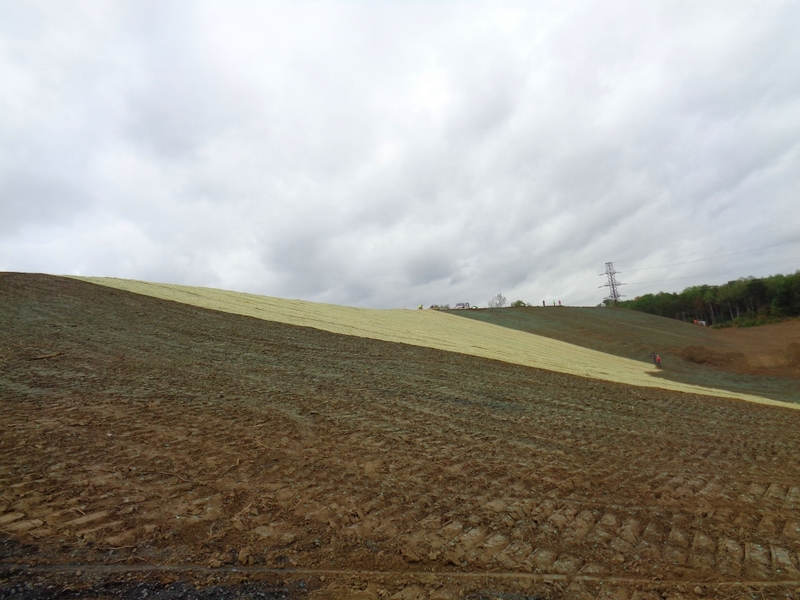 Topsoil is spread across the site to cap the spoil material and create a base for vegetation. 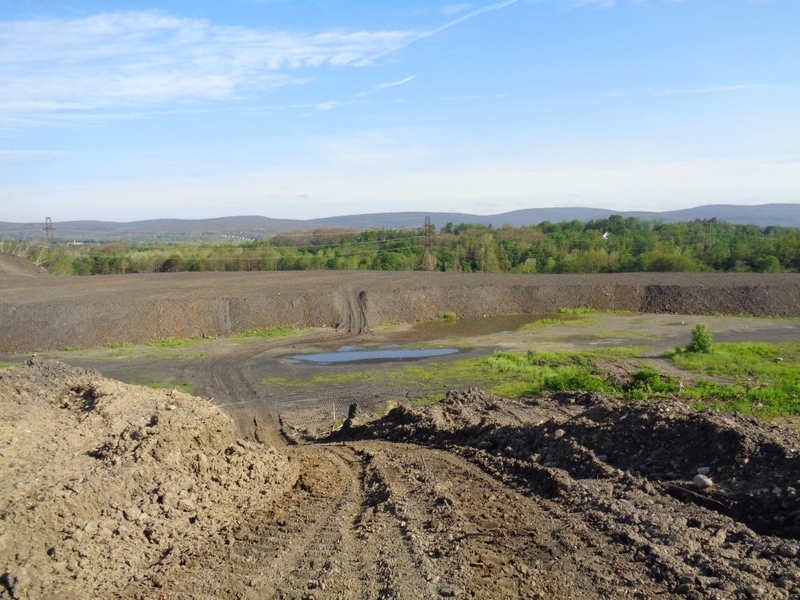 Seeding of Bliss Bank, Phase I, in September 2015. 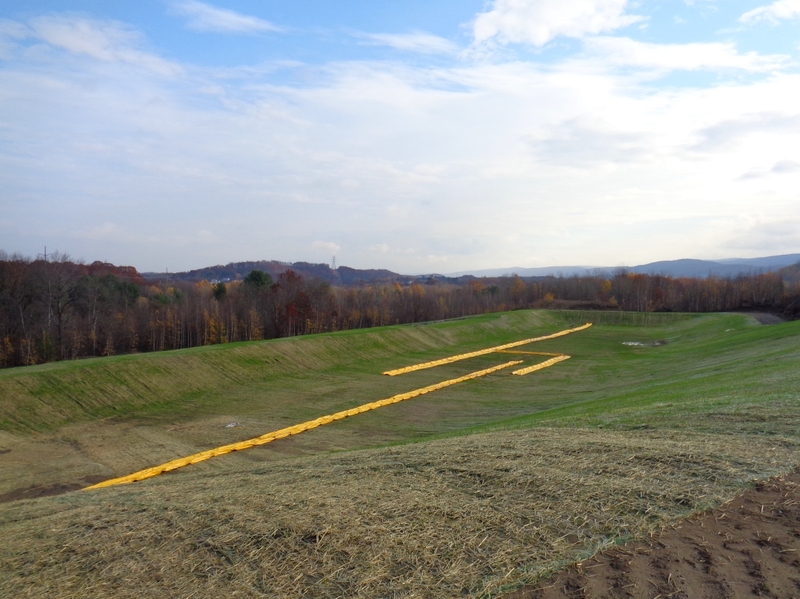 Grass sprouting along slope and detention basin in November 2015. 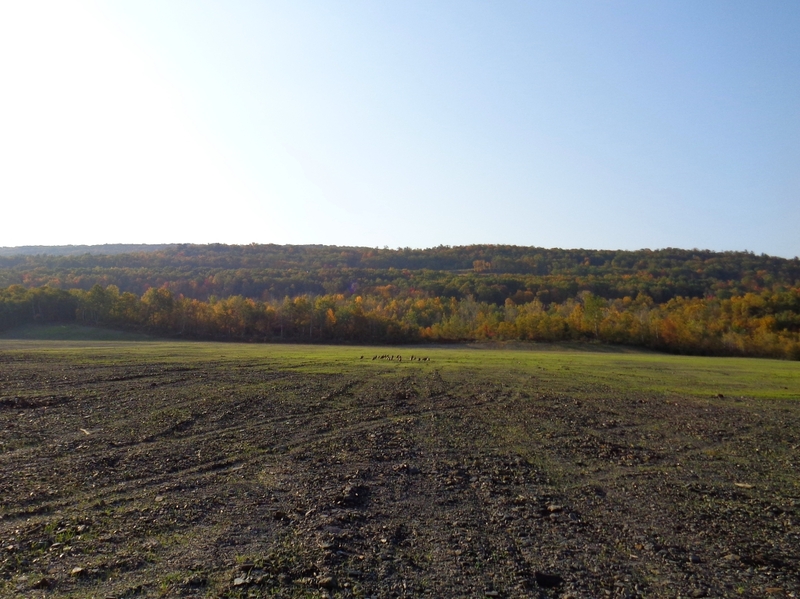 Reclaimed pad of Bliss Bank, Phase I, hosting a flock of turkeys in October 2016.